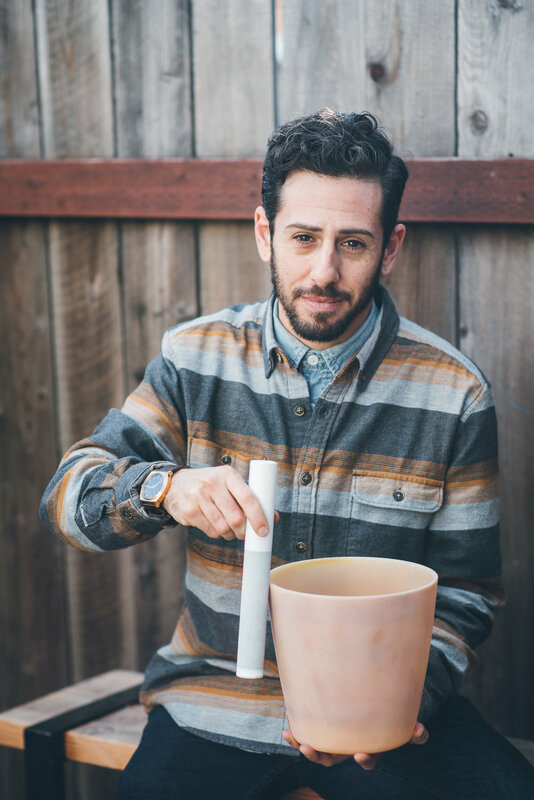 Nicholas Weinstein opened Homestead Apothecary 4 years ago after graduating from Thyme Herbal. When he first moved to Oakland – by way of Amherst, Mass – he came down with an unknown illness that left him bed ridden for a weeks. No doctor could offer a cure, so he sought out a local Naturopath, and after going to her school learned how to heal himself with the plants. This experience prompted him to dedicate his life to educating people about the power of plant medicine. The vision for Homestead grew from there. Tell me about your personal history as an Herbalist. What an interesting trade! Have you been studying long? I consider myself a community Herbalist because I didn't go through the clinical program. In other words, I don't see private clients. Im not on the floor very often at my shop, as there are 9 of us and 5 staff Herbslists. I really felt more passionate about making the medicines, and I'm also the CFO and Creative Director of the company. 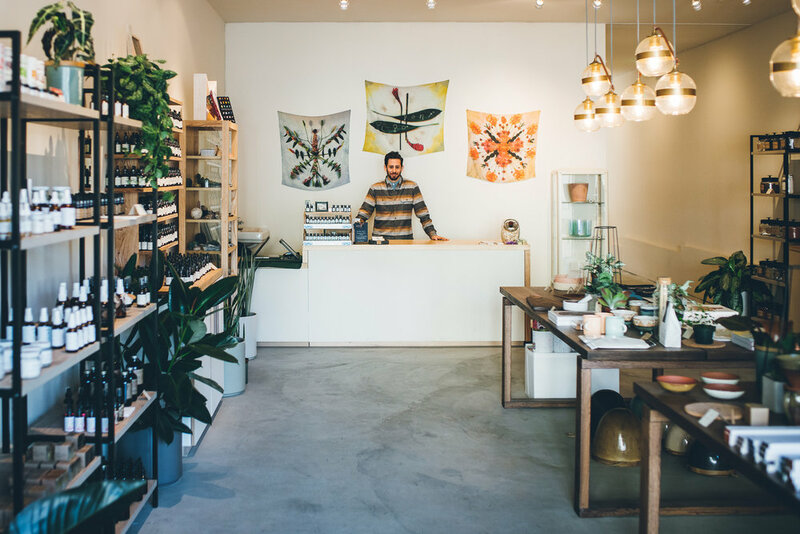 What has the transition from Herbalist to shop owner been like? This has been a strange journey! I really did set out to just keep learning and be out front in the shop as I was in the beginning, but the business has just taken on a life of its own and I've had to develop new skill sets very quickly. One of the things I find most interesting about entrepreneurship is that you are always at your growing edge. And the second you think you have all the moving parts down you get thrown a curve ball and you are on to the next adventure of learning how to run your business. In other words - its exciting and it also requires a tremendous amount of energy. Do most customers come for your tinctures? Or is there a “most popular” item in the shop that visitors have to get? Many of our customers are coming into the shop as their local herbal apothecary and purchasing their tinctures and tea but we also have a big following in the plant dye community, which is why we carry the dye plants, mordants, and our new plant dye kits at the new Laurel location. We also have a lot of folks from the home-brewing community that frequent the shop. How do you curate the items in your shop? Are they all / mostly from local makers? Its hard to narrow down why I select a persons line or an item because it feels like an intuitive practice, but I think that part of what is informing that process is knowing my customers, feeling a connection with the maker, deciding if it fits with the intention of the shop, the aesthetics of the item/s, and the makers sourcing and making practices. 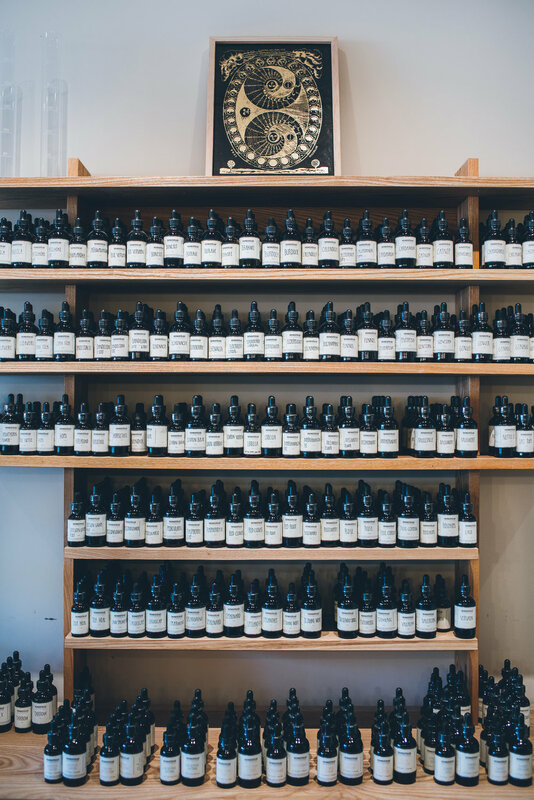 We just started carrying Plant Folk Apothecary and I am SO excited to work with Kate. I also went to the Tucson gem show this year, and I usually select all the pieces myself but this year my partner Ashley Neese came with me and it was so much fun seeing the different things she is drawn to because she works closely with the stones in her private practice an personal work. I think it created a really outstanding collection! Congrats on opening your second location! Does each Homestead offer something different? I opened the second shop for a few reasons - first was that I had a lot of the business running out of my home which worked well when it was just me, hence the name Homestead Apothecary. But then as we grew my work-life-balance started to skew in the direction of never not working and I found myself pulling 80 hours a week. So, I knew that I wanted to move everything into its own space so I could leave work at work. I say that as I am typing this email from my couch ; ) Old habits die hard! Also, we were selling out our classes and had to turn folks away... and since my intention was always to foster educational programs I knew we needed a bigger classroom space. We also have a nursery so I wanted to have a yard for the plants and finally a production area. The store was really an extension of all of these needs. And, I wanted to showcase new makers from all over the country since Temescal is very local focused. Tell me more about your zine collection! The zine project is my way of staying up on my herb knowledge! I always want to be learning and growing and the research for these provides that outlet for me. I also love that they are a community collaborative project since all the submissions and drawings are now coming from folks that follow us on social media. I do a call out for artists before each one and I have gotten amazing responses! What sort of workshops do you offer? And who generally attends? Anyone can check out the workshop programs on our website at Homesteadapothecary.com/learn The upcoming classes are listed there as well as an archive of our past classes! The content greatly varies so the past class listings are fun to read through. Do you have any plans to expand again? Or will there be any new offerings? What’s next or new for the shop? I never have a shortage of ideas, so I will try to pare this list down! We are coming out with 4 new tincture formulas this year and 3 new teas and we're changing our packaging around by this summer. We are also coming out with two new limited edition tote bags at once. We usually only do 1 per year with a run of 100 but there were two artists I wanted to work with so I decided to just got for it! Our workshop programming is outstanding this year so keep an eye out for new classes and if you are not local to the Oakland area we are launching a webinar based offering so non local folks can learn from our amazing teachers. We'll also have a lot more pop ups and we are looking for a farm to partner with to offer a CSA share at the shop. AND we're expanding our wholesale line, so look out for us in a lot of new shops across the country soon! Plus my partner, Ashley Neese, is moving her practice into our Laurel shop in April so we'll have breath-work consultation offerings soon. This is such a powerful healing modality. I'm excited to introduce this to our community! There is so much more on the horizon but this year is really about fine tuning what we have already started, expanding upon that a little bit and really solidifying our team to get us ready for the next big thing on my to do list, which is top secret right now! 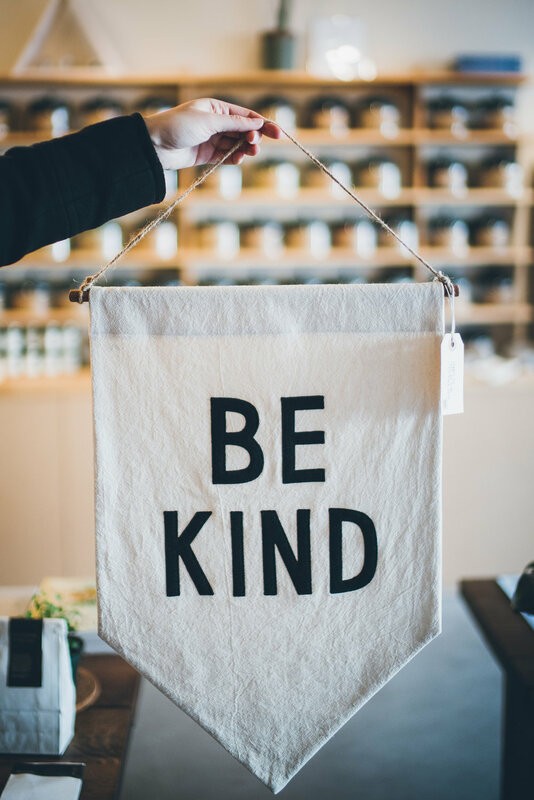 Just a little hint... we're taking the Wise Words section of the newsletter to new places so if you aren't signed up for it yet get over to the website ASAP!